Internet Speed Meter Internet Speed Booster & Speed Test helps boosting your Internet Speed. This app acts as an Internet accelerator & optimizer and performs a list of automated tasks that helps increasing Internet speeds & Wi-Fi network. Those actions can be performed manually by the user but due to being time-consuming the app can optimize them thanks to its Internet Booster feature. Internet Booster is fully optimized to support both 3G/4G and WiFi and also works well on Android phones and Tablets. The app works as Internet speed master & Speed meter lite & performs an internet speed test to test your connection speed automatically and displays all your network informations thanks to the built-in network analyzer tool and speed test tool. It also tests your ping time and helps reducing the same. Your gaming sessions will become more interesting making it the best game speed booster app that you will ever experience! Please note that your device Internet speed is determined by your Internet service provider and cannot be changed. But there are many factors that prevent your device from getting out the most of its resources. Due to the way the system manages Internet browsing experience as well as download and upload tasks you may experience some slowness in your Network speed. Once you open Internet connection booster it tests your Internet speed analyzes your Network configuration and calculate your connection speed automatically. Then you only have to click on the button to activate the speed booster module so it starts Internet booster & optimizer and show the tasks being done by the app then displays your improved download speed on the screen. After that you only have to launch your browser to benefit from an enhanced browsing experience and better Internet speed. The app works as Internet speed booster & Internet speed meter and also performs an Internet speed test to measure and calculate wifi speed test. The app uses the built-in mobile data monitor and network analyzer to perform some tasks and displays useful infos to the user screen. The app is also battery saving optimized and performs browser cache cleaner and improves MTU/TTL settings as well as wifi and 4g booster. The app calculates Network speed test and optimizes the same for faster internet browser. 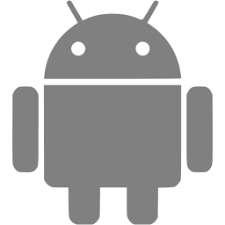 For not rooted device the Connection Stabilizer Booster should work with some limitations due to new access restrictions imposed on Android 5 and higher. For rooted device you should have access to all Internet speed meter features and benefit from stable mobile internet connectivity. Active Reconnect feature is not integrated in this free version. If you enjoyed Internet booster please rate us with "5 stars" on PlayStore and thank you for your support!